Only about 18% of bird species are migratory but if you discount species that live permanently in the tropics, the proportion of migrants jumps to 40%. Therefore, migratory birds are of disproportionate importance to those of us in temperate climates. Unfortunately, for most species little about their movements is known outside the breeding season. Conserving these species has practical implications to human society as many of these species provide incalculable contributions in the form of pest control, seed dispersal, and pollination. 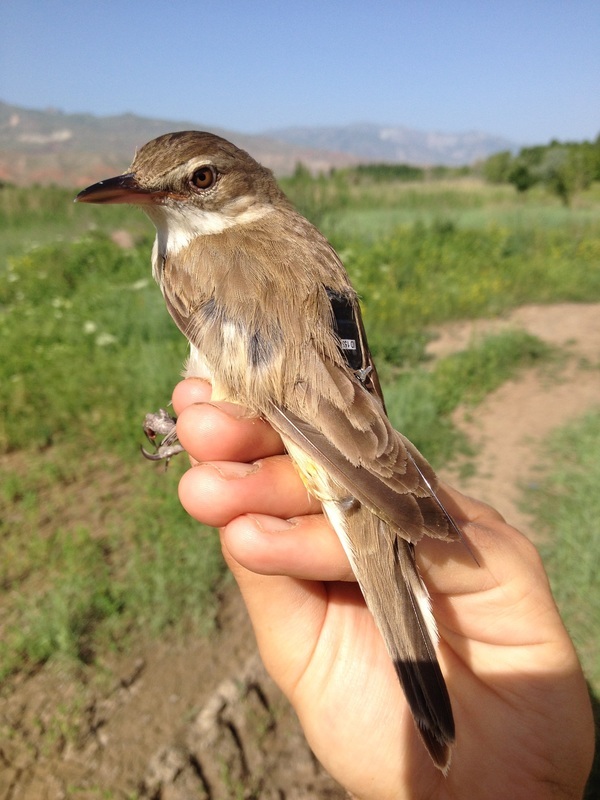 In Turkey, I tracked the movements of Great Reed-warblers (GRW), a species that breeds throughout Europe and the Middle East and migrates to Africa every year. GRW are wetland specialists making them a flagship species for wetland conservation. Because most songbird species that rely on wetlands are either too small or too endangered to be the focus of a tracking study, we can use GRW to identify areas of importance to wetland species. We chose to use light-level geolocator technology to follow these birds on migration. Geolocators do not communicate with satellites (as do conventional GPS units) but instead measure ambient light levels. By using this data to infer timing of sunset and sunrise, day length can be calculated. This information in turn allows us to assign a geographic point to the bird. Our study was able to identify three critical wintering sites in sub-saharan Africa, two important stopover sites used during spring migration, and a unique migratory pattern. 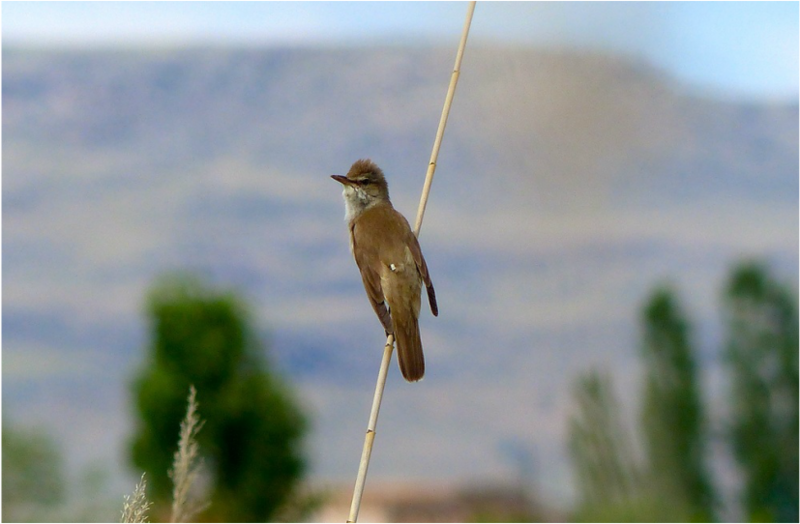 A Great-Reed Warbler surveying his territory. If you look closely you can see a small white dot on the bird's back. This is the geolocator stalk which extends just above the feathers to measure light levels.